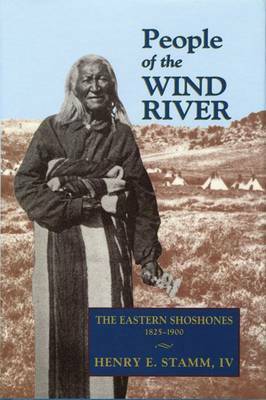 The first book-length history of the Eastern Shoshones People of the Wind River tells the story of the Eastern Shoshones through eight tumultuous decades--from 1825, when they reached mutual accommodations with the first permanent Anglo-American settlers in Wind River country, to 1900, when the death of Chief Washakie marked a final break with their traditional lives as nineteenth-century Plains Indians. Drawing on extensive research in primary documents and interviews with descendants of early Shoshone leaders, Henry E. Stamm IV traces critical developments in the tribe's history, including its migration from the Great Basin to the High Plains of present-day Wyoming and the arrival of Arapahoes in the region. After 1885, with the buffalo gone and cattle herds growing, the Eastern Shoshones entered the twentieth century with only a shadow of their earlier economic power but still secure in their spiritual traditions. Henry E. Stamm IV is a an adjunct professor of American Indian History at Idaho State University in Pocatello, Idaho.